We are pleased to announce the release of LibreCAD 2.0.5. 10, command line aliases can be made for both regular commands and short commands. We also fixed many bugs since the 2.0.4 release. Project : LibreCAD v3 Development. Hi all, this is Gaganjyot Singh here. I am pursuing Bachelors of Computer Science and engineering at Chandigarh Engineering College, Chandigarh, Punjab. This year, I got a chance to work for a pure CAD software. The LibreCAD. LibreCAD had a plan for a version 3 and the creator of LibreCAD had some code which he created 2 years ago for the v3 development. I begun working on the code. My first priority was to develop, polish and enhance the 2D kernel. Looking towards the LibreCAD, the Code is kept pretty modularized so that the user can have choice. For example the LCviewerNoQt contains the code for rendering the drawings on the screen. At the moment the functionality is moved from Qt to Cairo but in future, the user may have an option to choose between Qt, Cairo or may be OpenGL too. This modularity is also designed keeping in mind the extensibility and usability of code. 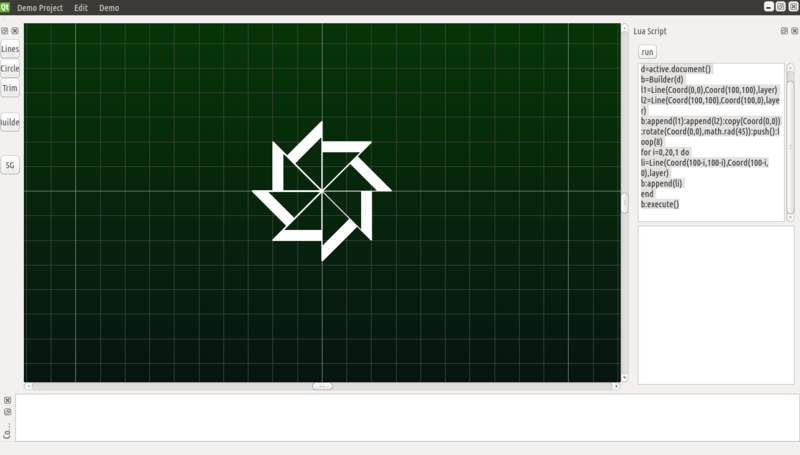 The LCKernel is a robust 2D kernel being developed at the moment. So it can be used in any other software which may require such functionalities ( transformations, Intersections etc). LibreCADv3 currently uses Lua as its scripting language, which is pretty finalised. The modularity code allows the developers to add their favourite scripting langauges, may be python, ruby or any preferred. The design principles of the LibreCAD v3 include the immutable concept. Every entity in the kernel is assigned with an ID at the time of creation. Whenever a transformation is to be processed on entity such as a move or rotate operation, the new data ( Coordinates, Radius, start/end angles ) etc are calculated and a new entity is created at the Coordinates calculated with the same ID and the older entity is deleted. My main project was just concentrated over the kernel but the concepts to be implemented till the mid term were implemented very quicly so I went on implementing other extra functionalities to the code. 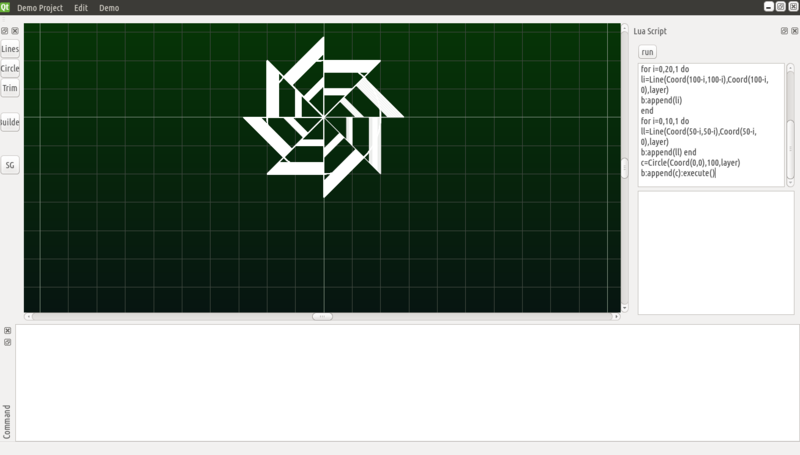 Implemented the Move, Copy, Rotate and Scale operations for all the entities. The nature of my project is Dynamic and research based( Sometimes ). So sometimes the code gets implemented before time and sometimes it takes longer then expected. Completing the above remaining tasks, I do expect there will be time left which I will be using in adding extra functionalities to the program. Expected functionalities which I plan to implement include DXF support, work on the UI portion. While coding with the LibreCADv3, I shared it with a group of my friends and the played a bit with the Lua scripting and designed marvellous designs. 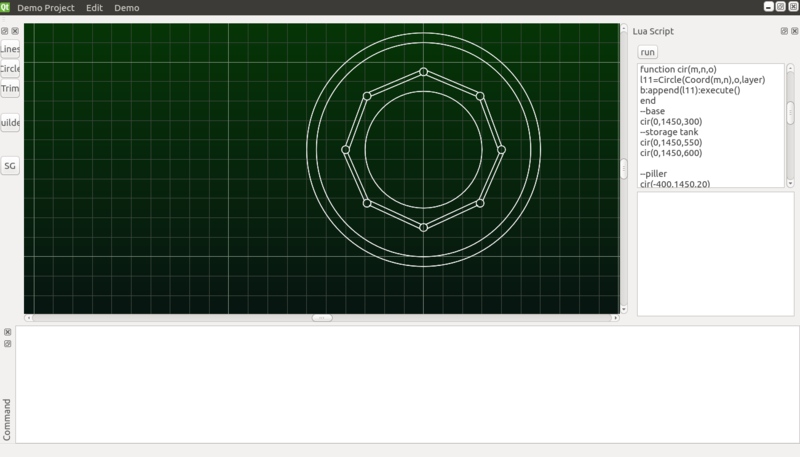 LibreCAD looks good on SourceForge. We will be on the ballot for the July Project of Community Choice SourceForge project of the Month. If you have a sf.net account, please login to vote for LibreCAD at https://sourceforge.net/p/potm/discussion/vote/thread/a278b79a/ . If you do not get a sf.net account yet, voting for LibreCAD is a good reason to register for one, and be able to submit bug reports and feature requests for LibreCAD at sf.net. 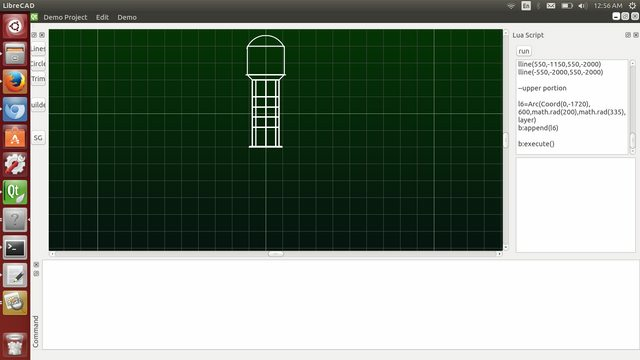 While our new LibreCAD_3 engine is under heavy development as part of the GSoC 2014 program, we will still have LibreCAD-2 developments, bugfixes and new features for this version of LibreCAD. 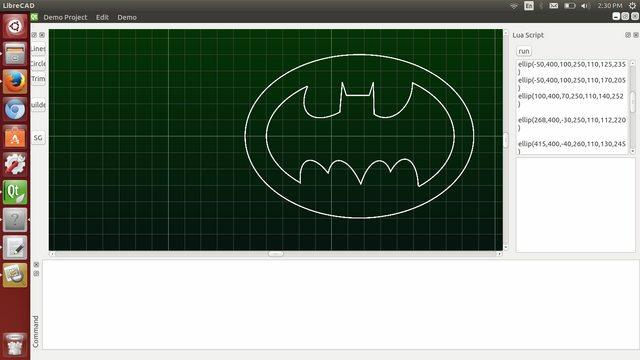 Thanks to help from our small but dedicated developers, LibreCAD 2.0.4 is ready for end users. It may take several days for us to prepare and upload win32 and OS/X installers to librecad.sf.net .